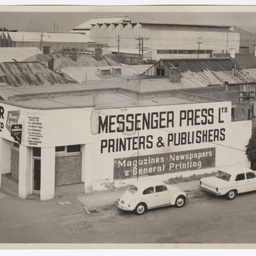 View of the Messenger Press building, Commercial Rd., Port Adelaide. Shows the corner frontage. Cars are parked along the streets, and buildings nearby include Pat's garage, which someone has labelled with a pen. United Tyre Service on the far left of the photo. This image comes from 'Messenger Press 50th Anniversary Photos': a collection of photographs of people and events associated with the Messenger Press newspaper and collected for the Messenger's 50th anniversary, March 7, 2001. Group photograph of staff from the Messenger Press newspaper, taken during an outdoor annual picnic. 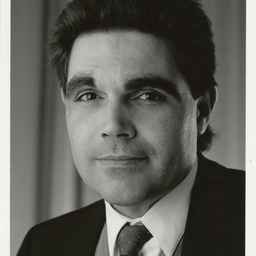 The location and names of people in the photo have not been provided. Other written information provided with the photo: Annual picnics held in Adelaide hills at such venues as Mylor, Belair, Hahndorf, etc. Features of the day were: Men's 100 yards running race "The Sheffield", men's long distance race usually 4 laps on main oval "The Miracle Mile", plus children's races, i.e. egg and spoon races, sack races and women "throwing the rolling pin." Note! Roger Baynes, Len Croker, Glyn Day, Ron West (company directors at the time) always attended. This image comes from 'Messenger Press 50th Anniversary Photos': a collection of photographs of people and events associated with the Messenger Press newspaper and collected for the Messenger's 50th anniversary, March 7, 2001. 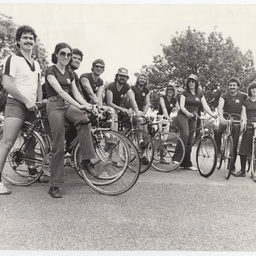 Group of men and women posing for the camera with their bikes. They are wearing t-shirts with a large M on the front. Names are not provided and the back of the photograph is labelled Mess. [Messenger] Personalities. This image comes from 'Messenger Press 50th Anniversary Photos': a collection of photographs of people and events associated with the Messenger Press newspaper and collected for the Messenger's 50th anniversary, March 7, 2001. 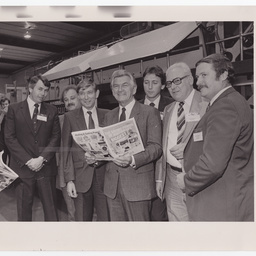 Australian Prime Minister Bob Hawke, with members of Messenger and Advertiser staff, during a visit to the Messenger Press Newspaper. The group is standing in front of a Mitsubishi heatset press. Names of staff are with the photo. Left to right: Kevin Copley, Company Secretary(? ); Kevan Scrimshaw, Marketing Manager, MN; Brain Sallis, Managing Director, Advertiser; Prime Minister; Roger Baynes Jnr., Production Manager, MN; Bruce Chambers, Production Manager, Advertiser; Gene Swinstead, General Manager, MN. This image comes from 'Messenger Press 50th Anniversary Photos': a collection of photographs of people and events associated with the Messenger Press newspaper and collected for the Messenger's 50th anniversary, March 7, 2001. 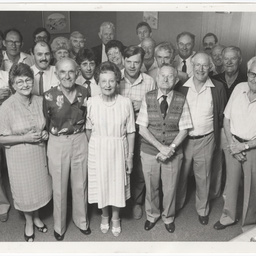 Group photograph of attendees at a Messenger reunion lunch, held in December, 1987. Names written in pencil with the photo. Back row: Lindsay Garl, Ken Whelan, Pat Aish, Len Croker, Roger Baynes jnr. 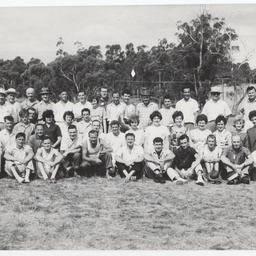 Second row from back: Bernie Coulter, Kaye Steer, Raylene Davenport, Geoff Lloyd, Bob Thorjussen, Barry Barnes, Gordon Sanderson. Third row from back: Glyn Day, David Douglas, Bob McHale jnr., Bob Hunt, Ron Mitchell, Doug Sharley. Front row: Erica Stone, Harry Potter, Beryl Fletcher, Alby Britton, Ron Kinsman, Jack Fletcher. This comes from 'Messenger Press 50th Anniversary Photos': a collection of photographs of people and events associated with the Messenger Press newspaper and collected for the Messenger's 50th anniversary, March 7, 2001. 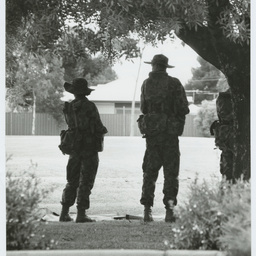 A collection of photographs by the Messenger Press taken at locations around the north-eastern suburbs of Adelaide. According to brief paperwork attached to the photos, many were taken for the Standard Messenger newspaper. Where more than one date has been added to a photo, one of the dates may refer to when it was published in the newspaper. See 'contents' for details of items. A collection of photographs and photocopies, primarily of design concepts and artists' impressions of apartment buildings and housing developments in the City of Adelaide, used by Messenger Press in the various suburban editions of Messenger Press publications. Photographs relating to 'vintage cars and penny farthings', created by Messenger Press. 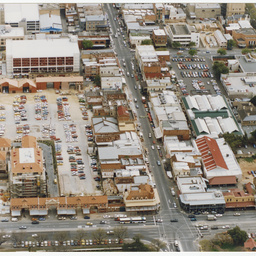 Photographs relating to the East-End redevelopment, on the former Adelaide Fruit and Produce Exchange market site fronting East Terrace and Grenfell Street, including aerial photograph of the site and proposed models for the redevelopment. 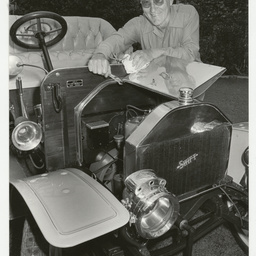 These are a selection of photographs collected by Messenger Press, or taken by Messenger Press photographers, many of which were published in the various suburban editions of the paper. 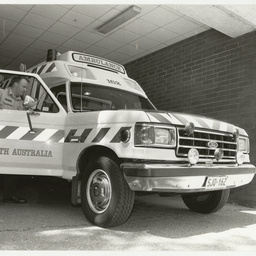 A collection of photographs by the Messenger Press taken at various roads and locations around the north-eastern suburbs of Adelaide. 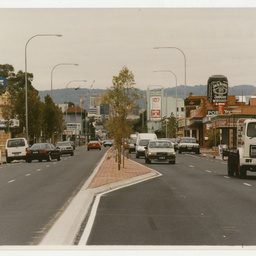 Places include Walkerville Terrace, the Britannia roundabout and Main North Road. According to brief paperwork attached to the photos, many were taken for the Standard Messenger newspaper. Where more than one date has been added to a photo, one of the dates may refer to when it was published in the newspaper. A collection of photographs and colour photocopies of commercial premises, buildings and streets in and around the City of Adelaide (in two volumes), including artists' impressions and designs for redevelopment. Includes some designs for the Remm Group Myer Centre development, with artist's impressions of the interior. 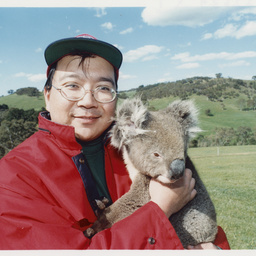 The album comprises photographs collected by Messenger Press, many of which have been published in the various suburban editions of the paper. 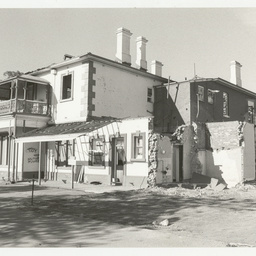 To view apartment buildings and domestic architecture in Adelaide see album B 71883. A brochure. 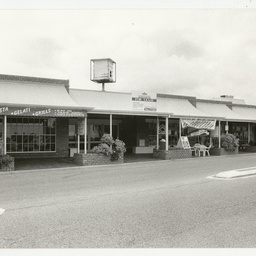 A collection of photographs by the Messenger Press taken at various business and community sites around the north-eastern suburbs of Adelaide. Places include waste management sites, sports clubs, Cavan Detention Centre and street and town signs. According to brief paperwork attached to the photos, many were taken for the Standard Messenger newspaper. Where more than one date has been added to a photo, one of the dates may refer to when it was published in the newspaper. 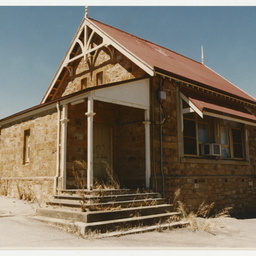 Photographs of schools, churches and cemeteries around the north-east suburbs of Adelaide taken by the Messenger Press newspaper. 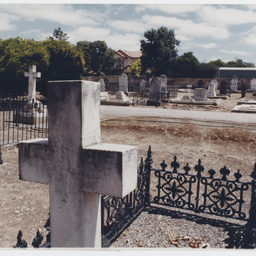 A collection of photographs of schools, churches and cemeteries, taken by the Messenger Press newspaper around the north-eastern suburbs of Adelaide. According to brief paperwork attached to the photos, many were taken for the Standard Messenger newspaper. Where more than one date has been added to a photo, one of the dates may refer to when it was published in the newspaper. A collection of photographs and colour photocopies, primarily of plans and architects' impressions of developments in and around the City of Adelaide. 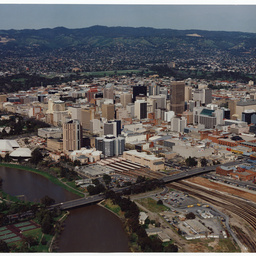 Several larger format aerial photographs of the central business district are included. 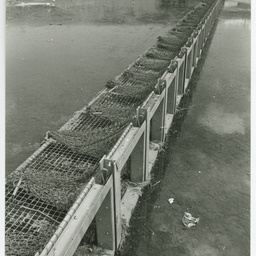 The album comprises a selection of photographs collected by Messenger Press, many of which have been published in the various suburban editions of the paper. Where artists or photographers are known they have been noted. The following brochures are interfiled at the end of the album: Fifty-Five Waymouth Street investment, Hassell Collaboration Adelaide 2002, Holden Factory becomes designer living. Hassell. 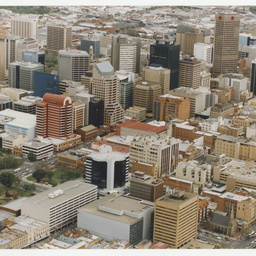 Media release, December 1999; Halifax Adelaide, the living heart of the City; Adelaide Central Bus Terminal, Synergy investments Australia. Danvers Architects. June 1997; Adelaide Convention Centre, new additions, facilities, spaces and opportunities, 2001. (7 items) These can be seen by requesting the album. Photographs relating to 'transport', created by Messenger Press. Photographs relating to 'shops, pubs, clus and restaurants', created by Messenger Press. Photographs relating to 'houses and miscellaneous', created by Messenger Press. 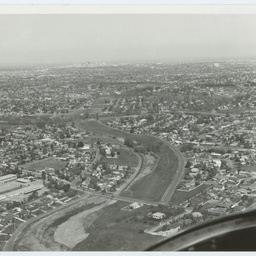 Photographs relating to 'aerial and maps', created by Messenger Press. Also includes 'maps / artwork / aerial shots' (photos 14-23). The following items have not been digitised: 15. Former Le Cornu site - site plans (1997); 17. 'O'Connell Street identity Plan, 1995'; 18. Adelaide Aquatic Centre leisure pool; 19-20. Architect's drawing of duplex facade; 21. Elevation and floor plans for the Vines Apartments, Melbourne Street, North Adelaide; 22. 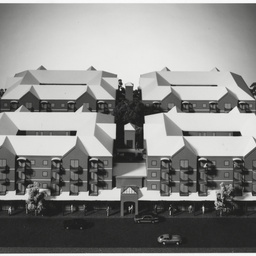 'Proposed apartment building, 134 Kingston Terrace, North Adelaide; 23. 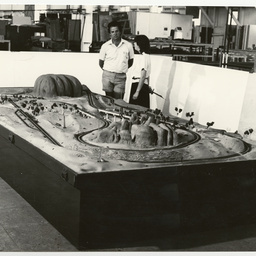 Model of the Adelaide Aquatic Centre (photocopy); 24. Aerial view of the State Sports Park, 1998; 25-29. Maps of Walkerville, Salisbury, Outer Harbour to Northfield, Adelaide/Enfield, Tea Tree Gully; 30. Logo for Enfield Health; 31. City of Enfield arms; 32. Logo for Wingfield Dump; 33-34. 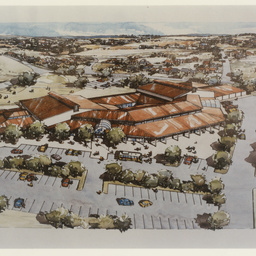 Concept drawings for City of Prospect (1999, 2001). Photographs relating to 'schools, cemeteries and churches', created by Messenger Press. 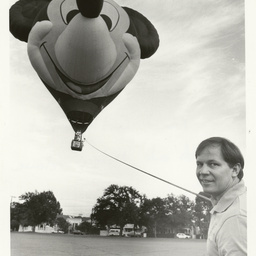 Photographs relating to 'gliders, balloons and hovercraft', created by Messenger Press. 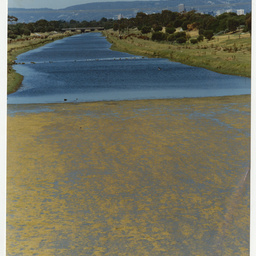 Photographs relating to 'nature sites', created by Messenger Press. Photographs relating to 'animals', created by Messenger Press. Photographs relating to 'miscellaneous places', created by Messenger Press. The following have not been digitised: 38. Aerial photos of West Lakes waterfront, November 1987; 39-42. Netball Stadium, ETSA Park, Mile End. 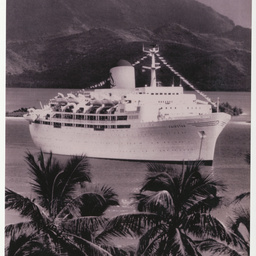 Photographs relating to transport - boats, ships and yachts, created by Messenger Press. 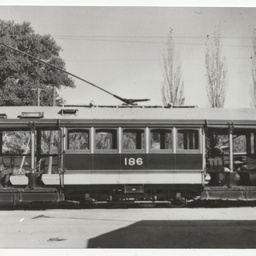 Photographs relating to transport - trains, created by Messenger Press, including South Australian Railways (S.A.R) locomotives. A selection of photographs taken by Messenger Press photographers, many of which were published in the various suburban editions of the paper. This collection was received in two lots, with the first arriving in the mid-1990s. The original collection was arranged by subject and may be requested under the categories listed below. 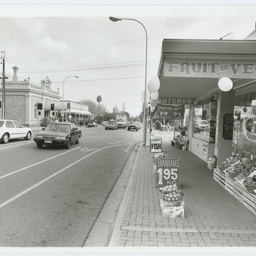 Photographs relating to 'Norwood, Payneham and St Peters council', created by Messenger Press. 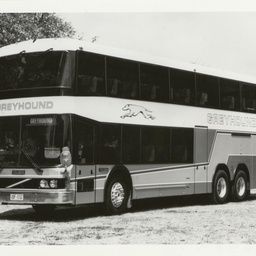 Photographs relating to 'Transport, buses and the O-Bahn system', created by Messenger Press. Photographs relating to 'other buildings', created by Messenger Press. Photographs relating to transport - trams, traction engines, created by Messenger Press.